July 9th in Themes for Pro Bloggers by Wordpress Jedi . Not all blogging themes for WordPress are designed to handle well established portals. If you happen to cover a broad range of issues on your site, you should try to get your hands on a theme that gives you the chance to promote all your top content in a more effective fashion. Acosmin Gazzete is a classy template that gives your blog a professional makeover. Acosmin Gazzete is very well designed and could give your portal better organization. It has a jQuery slider for featured articles. The theme is fully widgetized and supports videos. It has multiple color schemes. 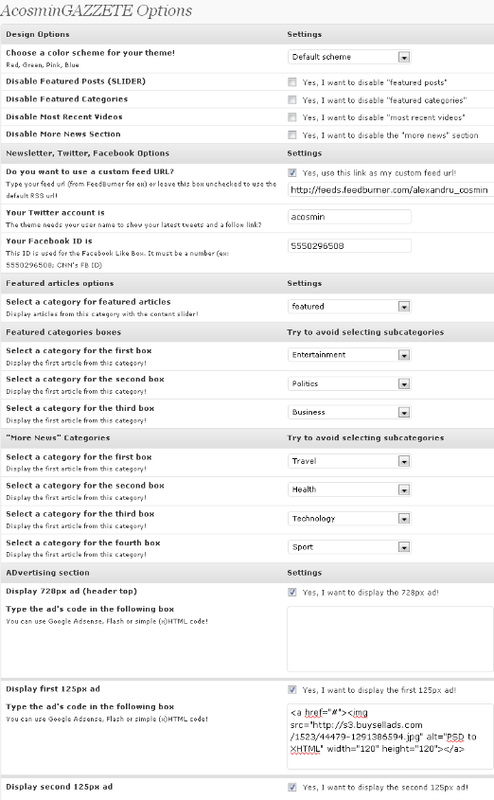 The Gazzete has an options panel that gives you control over design options, categories, and ads. You can easily choose which categories show up in your featured boxes. 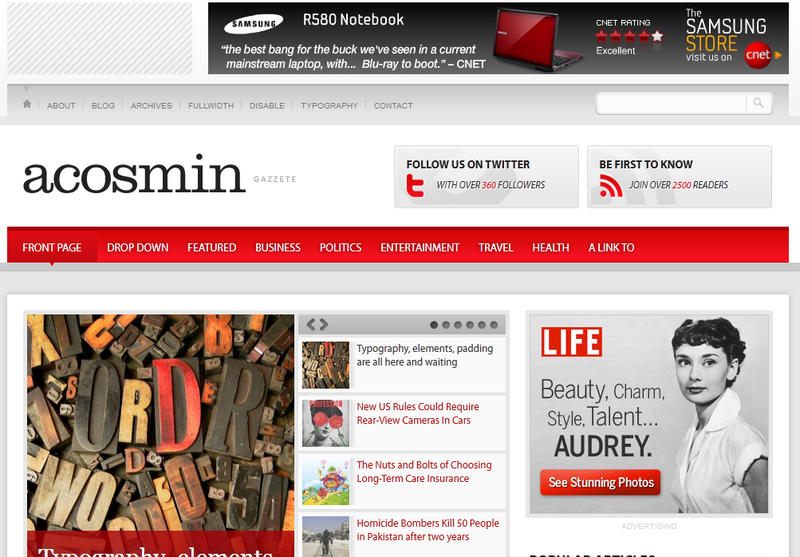 Acosmin Gazzete is a pretty good looking theme for professional bloggers. It is image and video friendly and gives you plenty of ways to promote your top content on your site effectively. It lets you promote your Twitter account and RSS feed too. The Gazzete is worth testing if you are looking for a new theme for your content portal.